It is the center of the vineyards of the Côte de Beaune and is regarded as the wine capital of Burgundy. This area mainly produces red wine from Pinot Noir and white wines from Chardonnay grapes. 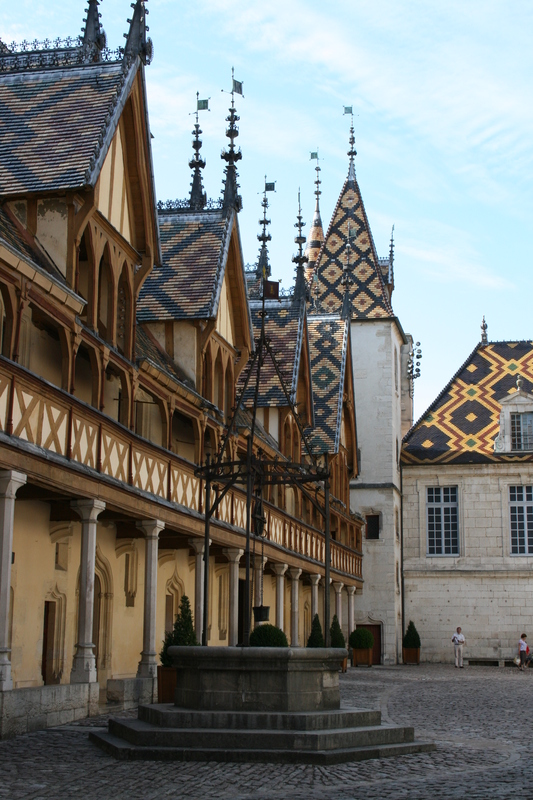 The annual wine auction of the Hospices de Beaune determine the prices for the whole region. Apart from Dijon, the community is one of the major centers of French mustard production. In the 19th century still 30s mustard makers were resident. You will find here also the last remaining family-owned and operated historic mustard mill of its kind in Burgundy. 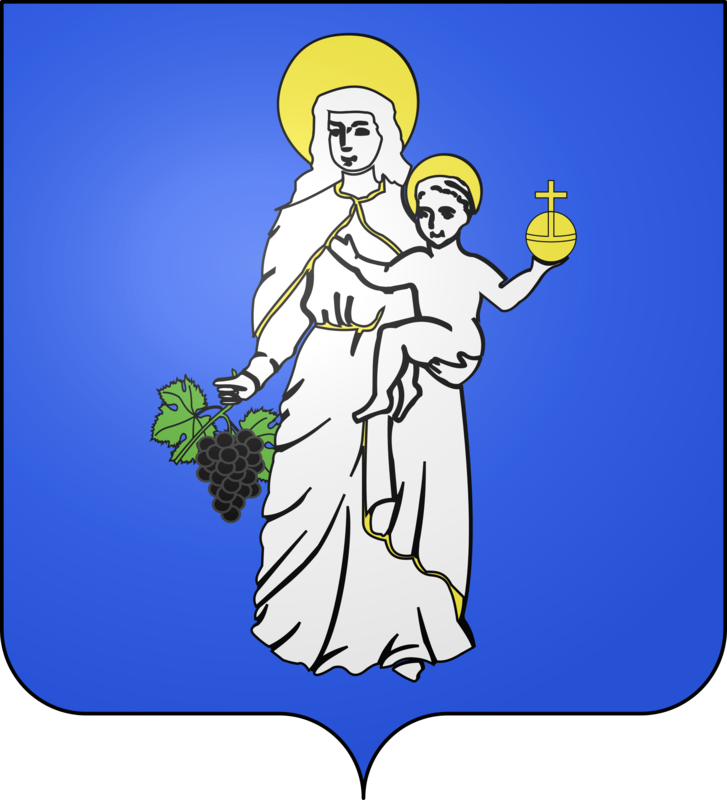 The town is located in the southern part of the Côte-d’Or, about 45 kilometers southwest of Dijon. The small town center has changed only little over the years: The historical part of the town is surrounded by a approximately 2 kilometers wall with eight fortifications from the 15th century. You will find there a network of narrow streets. In the center there are many magnificent buildings from the late Middle Ages, the Renaissance and the Baroque period. Especially in the Rue de Lorraine you will still see houses from the 16th century. The Hôtel-Dieu, a former hospital from the 15th century was used as a hospital until 1971. Today, parts of the old complex are used as a retirement home, while the rest can be visited as a museum and provides an interesting insight into the early modern nursing. 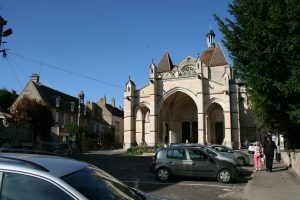 The Hôtel des Ducs de Bourgogne is located near the Hôtel-Dieu. 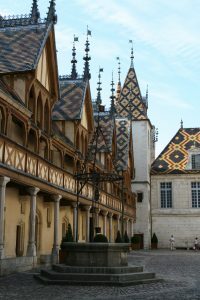 It is the former residence of the dukes of Burgundy in Beaune, whose half-timbered buildings grouped around a courtyard offer a picturesque scene. Today you will find in these buildings the Burgundian wine museum, dedicated to the history of wine. The Church of Our Lady is a Romanesque church whose architecture follows the type of the third abbey church of Cluny. It houses Gothic sanctuary tapestries with scenes from the life of the Virgin Mary. This series of 19 scenes was woven at the beginning of the 16th century from templates of a Burgundian artist.